Why a Information Systems Business Analyst Firebrand Apprenticeship? What is a Information Systems Business Analyst Firebrand Apprenticeship? IS (Information Systems) Business Analyst apprentices are taught how to investigate business situations, identify and evaluate options for improvement and define the features required by organisations. They'll understand and present solutions on how information systems can be used to improve operational efficiency, and support acceptance testing to ensure that the proposed solution meets the defined requirements. Successful IS Business Analyst apprentices go on into roles such as an IS Business Analyst, IT Business Analyst, Business Systems Analyst, Requirements Analyst/Engineer and Business Process Analyst. What are the benefits of a Information Systems Business Analyst apprenticeship? When do Information Systems Business Analyst apprentices train? Who can enroll on a Information Systems Business Analyst apprenticeship? 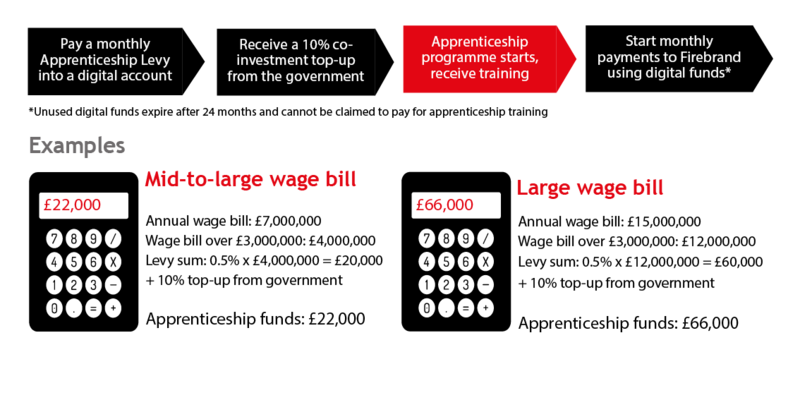 How much does a Information Systems Business Analyst apprenticeship cost? How are Information Systems Business Analyst apprentices assessed? What does a Information Systems Business Analyst apprentice's journey look like? How do Information Systems Business Analyst apprentices progress?